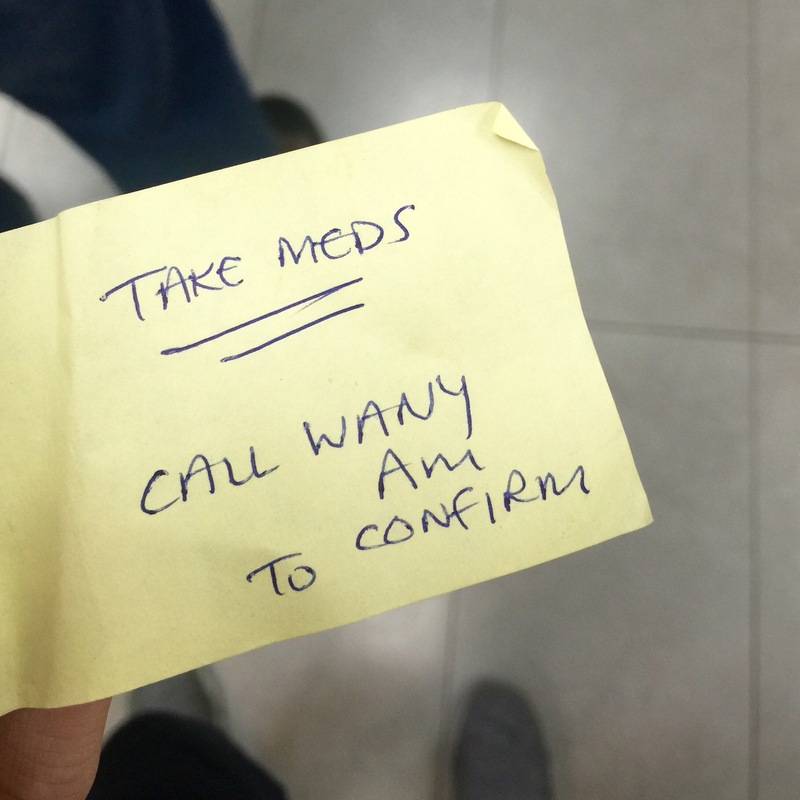 When you’re experiencing a severe brain-fog and your Physiotherapist sticks a memo on the back of your phone to remind you to do things because you can’t remember anything for nuts. Yesterday’s brain-fog was by far one of the most disorienting brain-fogs I’ve had this year. Maybe the haze is taking it a new level altogether. I lost clarity of things around me, I couldn’t think, my eyes were tired, I couldn’t type properly, I was walking like I might fall any minute, I was talking with words all jumbled up, and, I couldn’t remember what I did during Pilates the day before. My Physiotherapist asked me if the things I might forget while I experience a brain-fog come back to me when the fog clears up. Yes, at least for me, I start to remember everything as the fog clears up. Sometimes this may take a few hours and sometimes, a few days. Things start to get clearer slowly but the exhaustion from the braindead-ness takes quite long to settle. I’m feeling a little bit better today – less clouding of thoughts for sure and my eyes are able to focus better. Now, before I lose track of everything again, it’s time to stop looking at the phone screen. Next postPlanning out a Personal Journal.